Polyfresh. 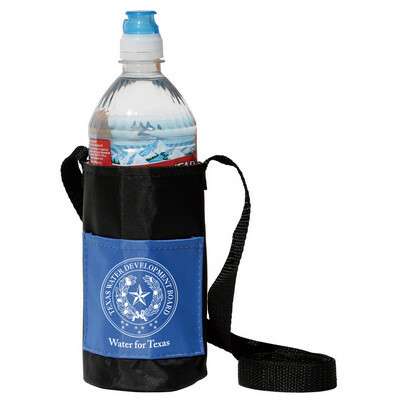 Bottle caddy, fits most sizes of bottled drinks. Shoulder strap. Fully insulated keeps drinks hot or cold. Slip pocket on front. Charcoal/Black, Red/Black, Royal/Black. Product Size: 127Hx76D mm. Print. Size: Pocket Only: 38Hx64W mm. Price includes : Print Up to 1 colour. Setup is additional. Please contact your sales representative for a final quote.